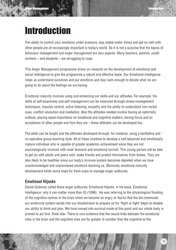 By linking to emotional literacy students will learn the skills of self-awareness, self-management, impulse control, active listening, empathy, understanding of non-verbal cues, conflict resolution and mediation. The ultimate aim is to elicit in participants an optimistic outlook, a better focus, and acceptance of other people and how they are. 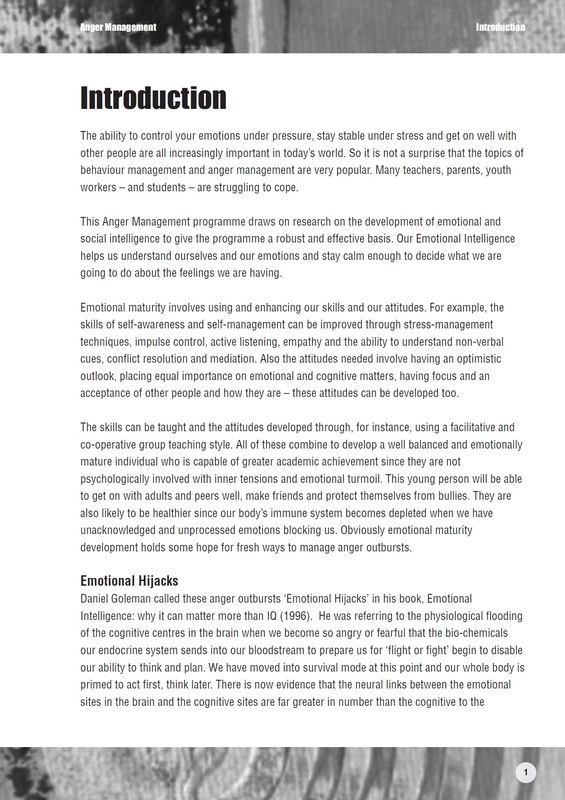 Central to the programme is how to deal with angry outbursts – known as ‘emotional hijacks’ – both pre- and post-hijack. 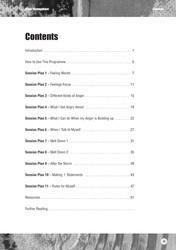 Each session plan details the aim, resources required and method, and is accompanied by reproducible student and teacher sheets. Session 6 – Melt Down! 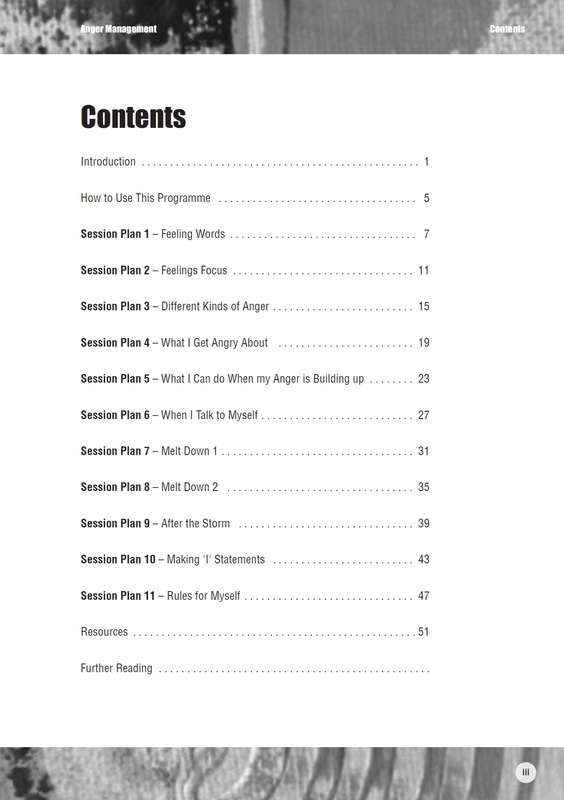 Session 7 – Melt Down 2!